I really admire VMware for various reasons, some of them are innovation, stable products and excellent partner support. When I say excellent partner support, I am referring to the content and tools they provide to partners to support their customers. One of the tools is VMware Health Check Analyzer. This is really cool tool to review VMware vSphere environments in short amount of time. VMware Health Check Analyzer comes in two versions, ThinApp and in OVF format ( Appliance). My favourite is ThinApp version of VMware vSphere Health Check Analyzer, because it’s easy to use. This tool is only available to VMware partners and employees. 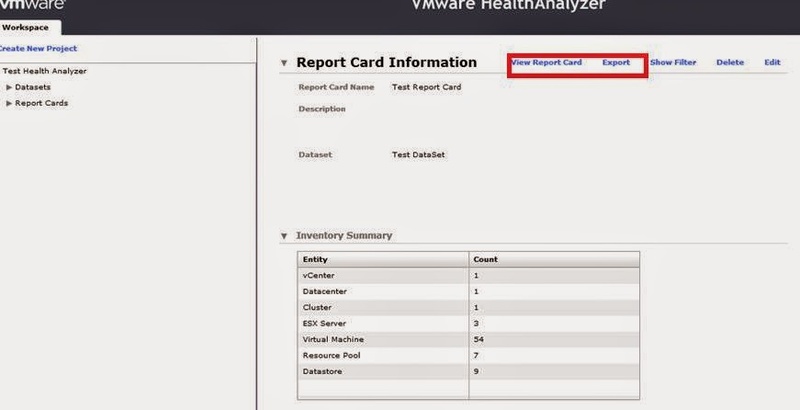 VMware Health Check Analyzer can be downloaded from VMware Partner Central. I heard some complaints from community that they are not able to locate and download the tool. 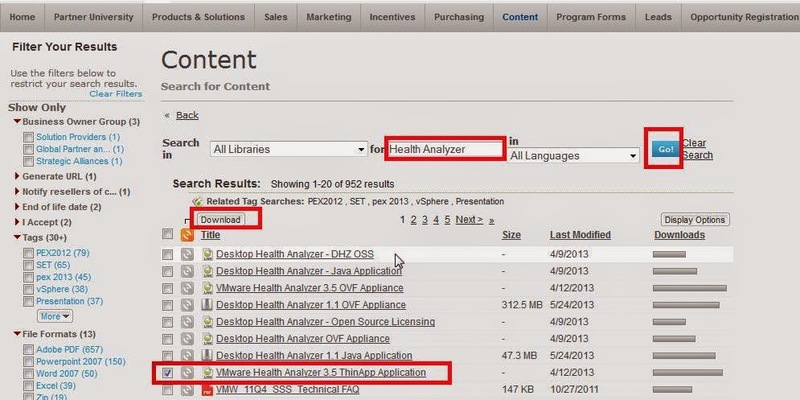 - In search results, you can see VMware Health Analyzer 3.5 ThinApp Application. Select it and click on download. - After download, extract the ZIP file. Note: VMware Health Analyzer – ThinApp version doesn’t have any specific requirements. This can be run from client Operating system also like Windows XP, 7 or 8. To open reports you need MS word and excel. - After extract, you will have 3 files as follows. Click on Startup.exe. It starts the application. You can see the status on command prompt. - In next step, open Internet Explorer and access http://localhost/ to access Health Analyzer console. Accept license agreement and move to next step. - In the next step, select “create New Project”. - In the next step, enter Data set name, vCenter server name and credentials. - From here follow the prompts which are self-explanatory. In the last step, you can view the report card and export to CSV or excel. - UPDATE: New Version of VMware vSphere Health Analyzer ( i.e version 5) available here. New version supports health check of VMware View 5.1 and earlier.